Google Street View came through my neighborhood the other day and snapped this photo of my house. 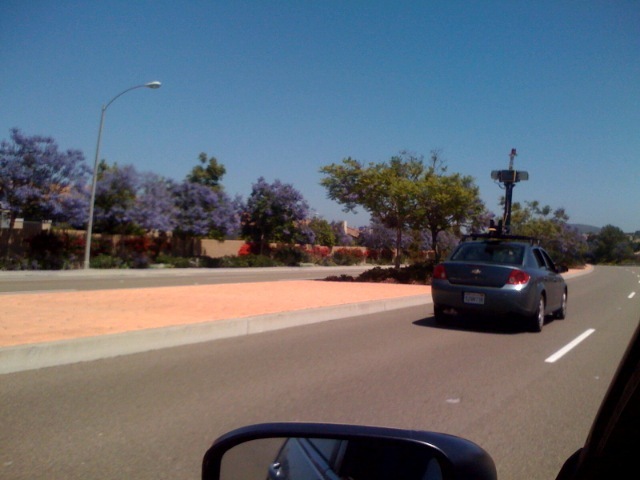 This is my photo of the Google Street View car. And this is Google's Street View photo of my car.